This picture was taken at Duke Medical Center where I volunteer teaching art on the Pediatric Blood and Marrow Transplant Unit. I am flanked by 3 of Duke's Basketball team when they came to visit the children. Please contact me if you would like to know how you can help the children and their families who live on the unit. Happy Birthday! Birthday cards are always needed and I came up with a simple and bright one for this weeks challenge. I have always loved the "A Word For You" stamp set (clear 120528). It is my go to set for fun sentiments. Add in two punches, Sunshine and Sprinkles DP, and Sticky Strip covered with Dazzling Diamonds Glitter, and this card is ready to give to that special someone. Fun and easy! You can find all of these products in my online store. Please check out the Paper Craft Crew's great ideas and then come up with one of your own. We look forward to seeing your design! Happy Stamping. This is Arianna, my beautiful Great Niece. Arianna just turned ONE and it is because of a miracle. Shortly after she was born, we found out that she was born with a congenital heart defect. The news given that day was bleak and she was rushed to another hospital. She lived for a few months with her condition and medication; however, she was very weak and was not thriving. Only a few months old, Arianna was put on life support. The only way she would live is if a heart that perfectly matched her would become available for a transplant. The doctors projected that she would live anywhere from 1 day to a week on life support. She was on life support for 4 days when a heart , a perfect match for Arianna, did become available. We will forever thank and pray for the family that lost their baby but gave Arianna a huge blessing... the gift of life. This Valentine's day is extra special! I have a great niece that had a heart transplant at 3 months old. It is with such joy that I share she is doing great! Her heart is now healthy and we are so very grateful to the family that shared their precious child's heart with us. While baby Arianna doesn't really know what her first Valentine's day means, she celebrates every day with her love, giggles, and happiness. She shares her joy of life and makes my life feel like Valentine's Day all the time. This card is for her and her family. I used a few new sets from our limited time Stampin' Up! 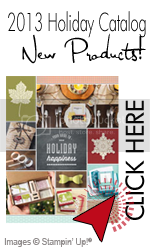 Spring Catalog and the background "Hello Doily" from our main catalog. The FREE Sale a Bration stamp set " Feeling Sentimental" supplied the beautiful sentiment and a Vintage Faceted Button completed the elegant look. All of these items can be purchased from my online store. The Paper Craft Crew Card Sketch 29 is in honor of all of the loves of our lives. We are sticking to the heart theme for this week and hope that you will join us by submitting your sketch to our blog. You can view many fun cards the other designers have shared to get your creative juices flowing. Looking forward to seeing what you come up with! All content (including text, photographs, and design work) is © Janet W Marks. My original artwork is for personal inspiration only and may not be copied for publication or contest submission. Feeling Wishy Washi about Halloween?